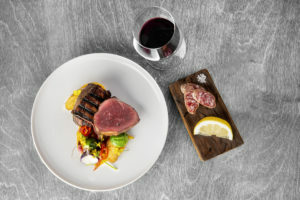 Join us for a unique twist on the traditional winemaker’s dinner as we focus on core elements of the plate and how elements such as salt, sugar, acid, fat and protein work to enhance, balance or counterbalance your glass of wine. With Treadwell ‘Farm to Table’ designing each course alongside new and library wines from Stratus, this evening will be scientifically delicious. $135 plus HST. Purchase your tickets here.